Welcome to our brand new website! At BS Stainless, we are in a constant process of improving our service right across the board, from working on new and innovative product ranges to attending global conferences and exhibitions. As part of our 20-year celebrations, we have been working closely with our service provider Brickweb to bring you the most modern, streamlined website possible. More people are accessing the internet via a mobile device than ever before; in fact, more people now use internet-enable mobile devices than standard desktops or laptops. This growth has meant that some websites have been left behind when it comes to properly displaying content across a range of devices. 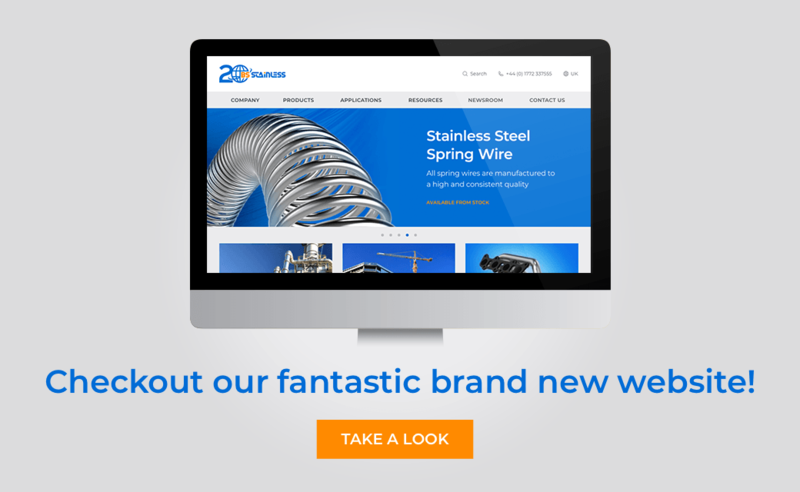 Our new website utilises the latest technology to ensure that it is fully compatible with all mobile devices, allowing you to enjoy a completely seamless experience with BS Stainless no matter which device you choose to use. Whether you are on a mobile phone, tablet, desktop or laptop device, our website will automatically optimise its content to that device, putting an end to irritating scrolling, panning and zooming. We have also been working on a brand-new brochure, in which you can find out all of the necessary information on our crucial product ranges. The brochure will be available online and offers a quick, clear and informative way to browse our products and services. Bang up-to-date, the brochure represents months of hard work and we are extremely proud to share it with our customers. The new website is designed to be easier to use than ever before. With intuitive navigation, ultra-fast loading speeds and a sleek, streamlined and modern interface, the website is simple to use yet extremely powerful. Graphics are sharper and better defined and all text has been fully updated to reflect the latest available information. As a customer-focused organisation, BS Stainless recognise that the opinions and experiences of the customer are extremely important. In this regard, we invite you to share your thoughts on our new website. If you have any comments, suggestions or questions, then please do not hesitate to get in touch with our team; we will take these into serious consi­dera­tions and make further improvements where applicable. Please enjoy browsing our new website.